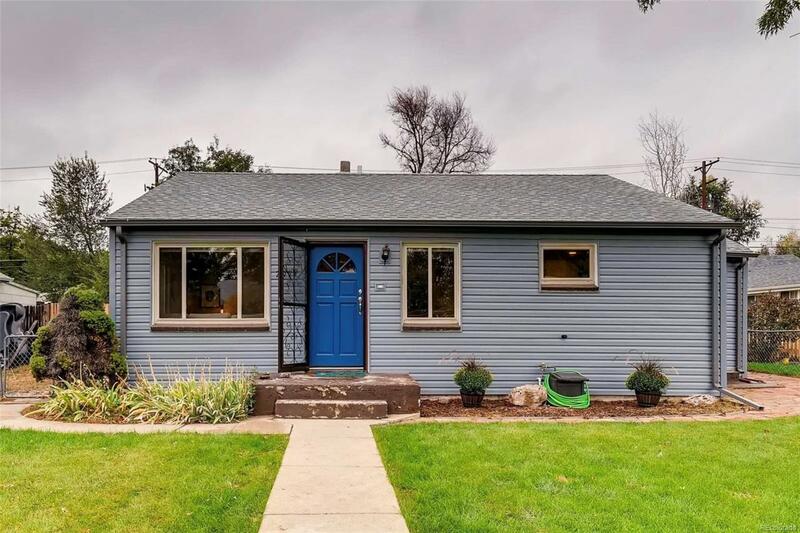 Ability to close quickly.Amazing renovated move in ready Sloan's Lake property once featured on House Hunters, close to dining, shopping and public transit. Gorgeous updated kitchen with stainless appliances with finished hardwood throughout. Living room is spacious and has plenty of natural light from the large double pained vinyl windows. All new paint with recessed can lighting and updated hardware. Newer water heater. Roof and fence new this year and the backyard is ready for entertaining around the fire pit. Multi purpose shed could be used for tools or for added storage. Few blocks walk from Sloan's Lake shop and quick access to Downtown or Mountains. Amazing property priced to sell, don't delay. Offered by Vip Real Estate Co.